Despite missing the playoffs for the second-straight season, the Chicago Blackhawks are excited about what the future holds after having an eight-point improvement on last season. 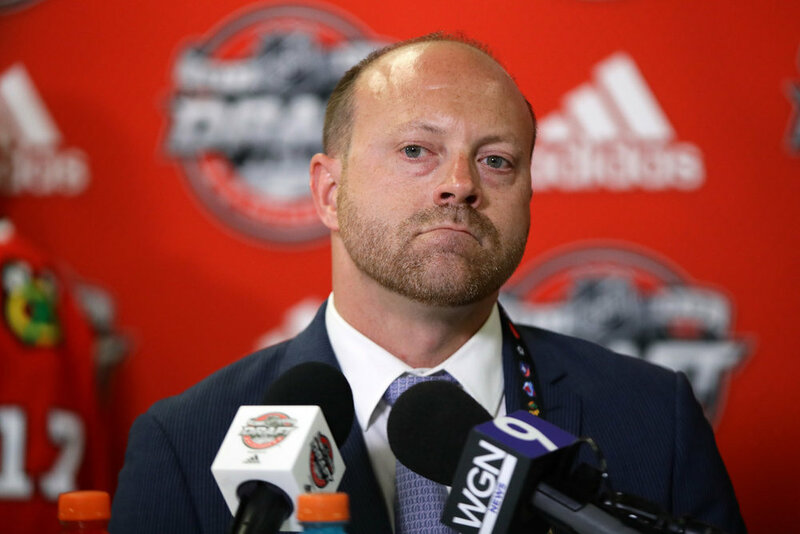 Blackhawks GM Stan Bowman does not have any major pending free agents to deal with this summer, and has roughly $19 million in available salary cap space to play with (more once the cap increases for next season). Bowman admitted he’d like to “upgrade” the blueline, but he’ll certainly be in the market for a top-six forward, as well, this off-season. There has been ongoing speculation that Chicago will be among the teams in pursuit of Columbus Blue Jackets left wing Artemi Panarin this July once he hits he open market, but it’s unclear if the Hawks want to commit to another major contract. Panarin, who spent his first two seasons in the NHL with the Blackhawks in 2015-16 and 2016-17, will become an unrestricted free agent this summer and is expected to command well north of $10 million, per season, on his next deal. Regardless of how big a splash the Blackhawks make this summer, in either the trade or free agency markets, the team seems to be heading back in the right direction.